Feed your mind...Nourish your soul...Join the circle of friends. 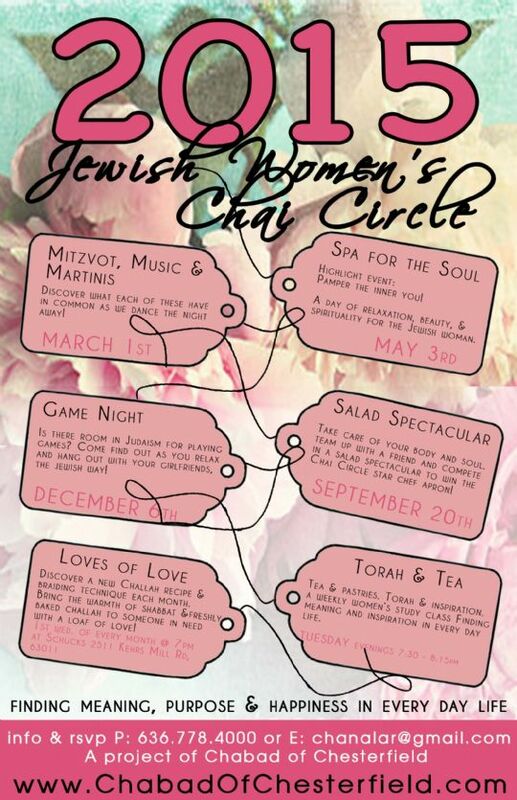 The Jewish Women's Chai Circle, is a group designed for the contemporary woman. The goal of The Women's Circle is to unite Jewish women in the Chesterfield area. An innovative and enriching program, which meets once a month, includes a variety of hands-on activities and projects, discussions, workshops and guaranteed fun. Every woman deserves a night out.